Wondering where you can buy Hawaiian Sarongs? You’re in the right place! Welcome to the Hawaiian Sarongs Online Store, a colorful collection of Hawaiian sarongs, pareos and beach wraps for all occasions. 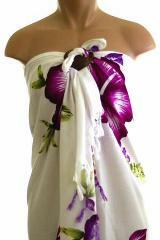 Our web store offers sarong shoppers a blend of quality and value in a variety of Sarong designs and fabrics. Our assortment of sarongs and pareos will wrap you in tropical beauty. “Sarong” is a Malay word for a garment that is used by women and men worldwide and known under many names. Whether you are looking for a sarong, pareo, lava lava, sulu, pareu, malong or kanga, we’re sure that as you shop through our collection you’ll find just the right sarong for casual wear or a more formal affair. Women wear sarongs as a full body wrap or a long or short skirt. Men wear them tied at the waist and as shorts. 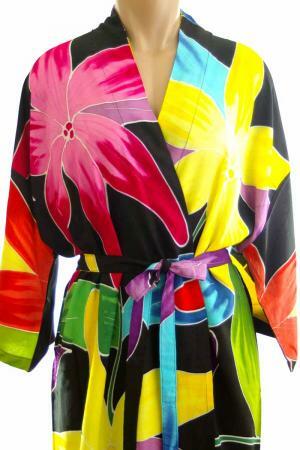 However you choose to wear one of our sarongs, it will add a tropical flair to your wardrobe. Fun to use as tablecloths or runners, a sarong also can dress up your buffet or dining table for a Hawaiian luau party or other tropical-themed gathering. We’re sure you can find other creative uses for our sarongs, too! 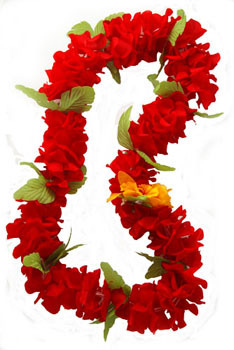 And be sure to check out our silk flower lei and hair clips, accessories, Hawaiian dresses, aloha shirts and other Hawaiian aloha wear. 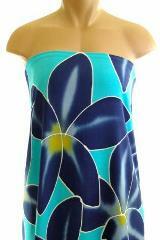 Come back and visit us often as we are always adding new Sarong prints and products.